What an amazing, glorious spring we are enjoying in England! Cows, sheep and goats are now enjoying fresh grass, clover, herbs and even some flowers after giving birth recently. Of course, it’s time to enjoy young cheeses made from fresh milk. 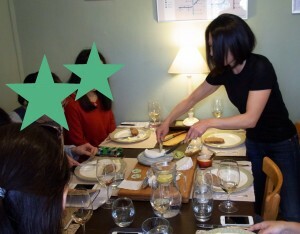 Culture & Culture has recently held a spring lunch session for local Japanese food lovers. 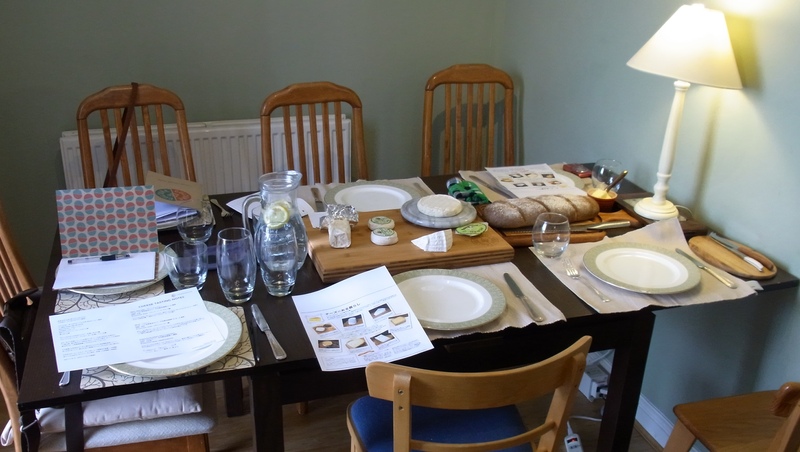 All attendees were keen to learn more about artisan cheeses, so we introduced Saint-Marcellin, Perail, Ragstone and Ticklemore. The seasonality of cheese and three different types of animals, important key factors to enjoy cheese! Generally speaking, goat milk cheeses are somehow a bit challenging for Japanese people but, surprise surprise, they seemed to have discovered how delicious goat milk cheese could be! We encouraged them a bit with fresh leafy salad tossed with lemon & honey dressing which nicely complements goat milk cheese. Mission completed, they were saying “oh we should try more goat cheeses!” The UK is a country where there are lots of unique goat milk cheeses around, and most goat milk cheeses are at their best from spring to summer. We hope the attendees are going to enjoy the warm sunny seasons even more through seasonal cheese!